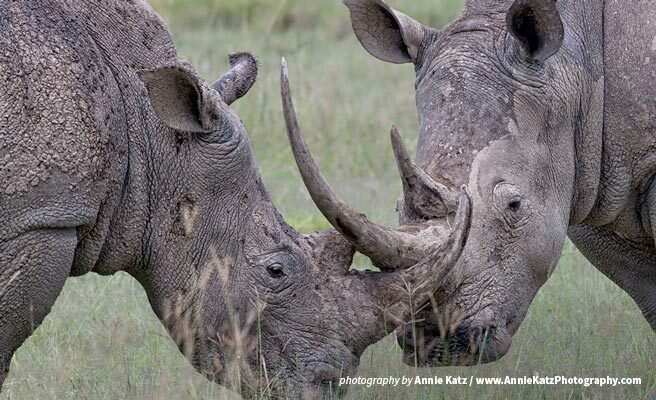 The ruling by the High Court in Pretoria authorizing an online auction of 264 rhino horns is potentially disastrous for Africa’s imperiled rhino population. The African rhino has suffered high levels of poaching and the auction could provide legal cover for criminal gangs in the illicit rhino horn trade. AWF believes that there are no adequate mechanisms at any level — local, national, regional, or international — to control such trade. Recent rhino poaching statistics from South Africa show that rhinos are still under heavy threat of poaching and protection must be tightened, not relaxed, without exception. Experience as Africa's oldest conservation organization has taught us that decisions on sustainable trade in endangered species must be based on science and level of threat — not just legal points. “Given a rhino’s slow reproduction rate, the decline in the continental population and the high value and demand for horn, there is no realistic scope for achieving a sustainable balance between production and supply,” says AWF Vice President for Species Protection Philip Muruthi. We have already seen the damage a legal market can do with the elephant ivory trade over the past 25 years. The legal trade has muddied the waters for law enforcement combating illegal ivory trafficking, while removing the stigma once attached to owning, buying and selling ivory. This strategy has ultimately proven ineffective in stopping elephant poaching, and there is no reason to expect a different outcome for Africa’s rhino. As we have stated previously, the auction or legalization of rhino horn trade sends mixed messages to the marketplace at a time when a single, unambiguous message needs to be communicated to the millions—possibly billions—of existing and potential consumers of this product. There’s no room for trade in endangered wildlife species. The court decision undermines the global ban on rhino trade and efforts to protect this precious animal. We despair for Africa’s endangered species.